I think it’s time to acknowledge that Disney is in a second animation renaissance. It should have hit me two years ago when “Frozen” was released, but only with the release of “Zootopia” has it dawned on me that Disney has been producing films so good, of such high caliber, that these are movies that children of this generation are going to hold dear to their hearts the way my generation does with “The Lion King” and “Beauty and the Beast.” It’s not just that Disney is making huge strides in quality animation and 3D effects, it’s that they have a new philosophy in their approach to animated storytelling that has breathed new life into their stories. They are not only playing to their strengths these days; they are playing with their formula in new and interesting ways. 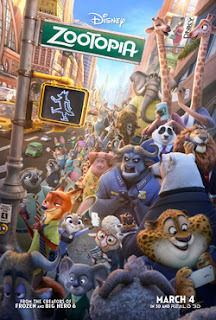 A movie where anthropomorphic animals walk like humans, talk like humans, and wear clothes like humans is nothing new. Disney has made two movies in this vein before with “Robin Hood” and “Chicken Little.” These are two movies I consider to be a couple of the studios weakest films by a pretty wide margin. The reason is because the animators seemed to feel that animals living in human worlds without the humans was enough of a funny concept to make full movies out of. It was not. There are plenty of shows on PBS that follow this same concept, and those you can watch for free. “Zootopia” takes this concept and actually does something with it. The city of Zootopia may have an ideal name, but in practice that only goes so far. As you are aware, some animals just don’t get along in the real world, so in the fictional world of Zootopia these animals don’t get along so much as they tolerate each other’s existence. 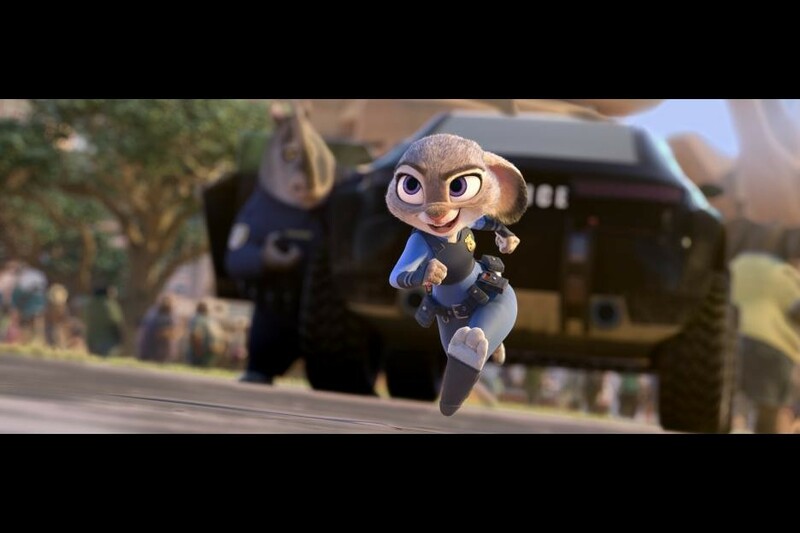 This is evident early on when our protagonist Judy (Ginnifer Goodwin) becomes the first bunny police officer on the force. The other officers don’t really make a big deal out of the fact that she’s a female, they just don’t think small animals make for good officers when you have big rhinos and elephants in the same room. Judy is determined to prove her worth though, so she stakes her career on finding a missing otter in hopes of getting more respect. The problem is there is only one person who may be able to provide a lead to the case, and that person is a fox named Nick (Jason Bateman). Just like the real world, foxes and rabbits are natural enemies in Zootopia, and this is the one animals Judy’s parents told her to avoid at all costs. Again though, there is only one lead to be found, he’s it, and now the two just have to tolerate each other. As the movie goes on the two have to face the prejudices they have about each other and come to understand on why the feelings of hate run so deep. 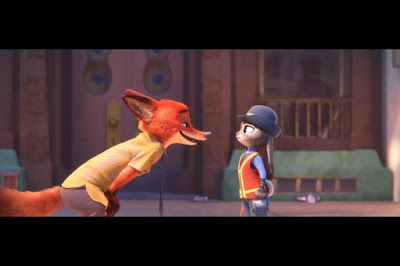 Judy was raised to distrust foxes because she was taught that they are cunning and manipulative by her parents. Nick is every bit the hustler she was lead on to believe, but he has his reasons for being the way he is, and those reasons are rooting in his own racism. One of the reasons “Zootopia” is such a fascinating film is that it tackles a relevant topic in a form that is the most logical way to explore it. While I do subscribe to the theory that as a species humans have become more understanding of people who are different, I also understand that racism is something that never completely went away. It’s more passive aggressive than it is open, but it is still there with some people. That this is a movie that tackles the timely subject matter during an election year where Americans are known to be angry and divisive on so many issues, this is almost perfect timing. In some ways, this is a movie that might speak more to adults than to kids. It takes a sensitive subject and manages to make a hopeful and fun movie out of it. This is also where I mention that oh so important Disney formula the company has staked their empire on is here, but like “Frozen,” it plays with the formula and tweaks it just enough to make it fresh. The animation is the most detailed I’ve seen come from the studio, and unlike “The Good Dinosaur” from Pixar last year, the characters and the backgrounds fit together seamlessly. 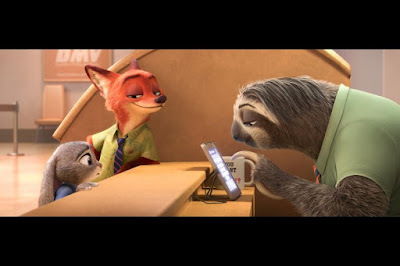 There are even plenty of small jokes in the background that will likely require multiple viewings to catch them all (my favorite visual gags include iPhones that have a carrot logo with a bite taken out of it and a DMV that is run entirely by sloths). 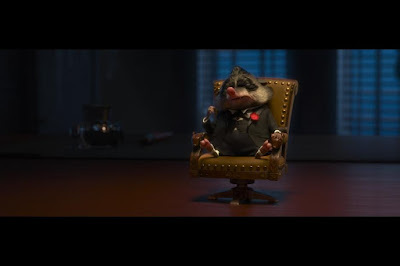 In other words, “Zootopia” is the perfect combination of film making, where writers and animators are both working at the top of their game and combining the results perfectly. 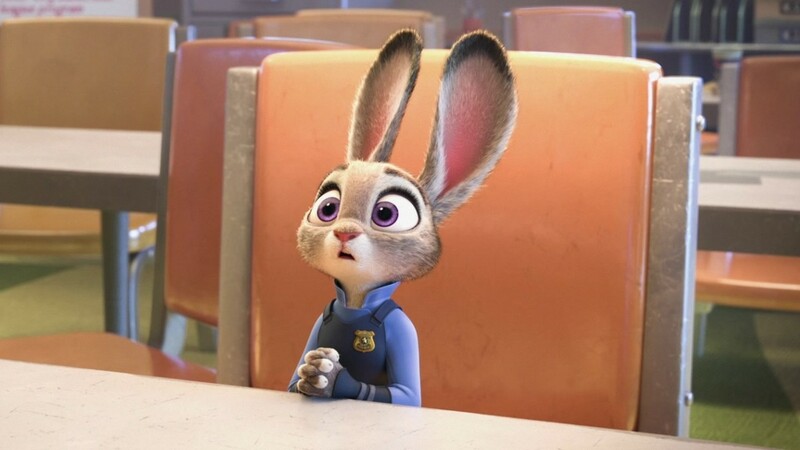 Like “Frozen” and “Inside Out,” “Zootopia” is going to have the kind of word of mouth money can’t buy. Kids are going to be begging to see this again and again with their friends in tow. Adults may find themselves enjoying it more. There may be some initial trepidation admitting that at work the next day, but I think that will change sooner rather than later. The only disappointing thing about this is that there are many people who will look at the posters, think this looks too childish to be worth their time, and skip it altogether. Something tells me time will be very kind to this film, and it will be viewed as a classic very soon and will be discovered by people as a gem for many, many years. Like the characters in the movie though, there will be some issues getting past the look of the picture, which probably makes the themes of the movie all the more relevant.